In Sanuk's own words "they're NOT shoes, They're sandals". But these sandals are ready for a Minnesota winter. Wait, what? It is probably no big secret that I freaking LOVE my Sanuks. I practically live in these things. All it usually takes is having someone put a pair on their feet and spend 5 minutes in them and it's all over. 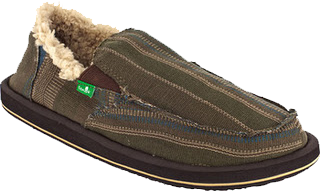 Throw in the fact that Sanuk gives you several fuzzy lined options and winter is now sandal season... How does that not make for an ultimate Holiday Gift Idea. Several of my family and friends have now drank the Kool-Aid. My father is totally sold, and this guy didn't even wear jeans until a couple of years ago. He was always a suit and tie kinda guy, but now he's rockin' jeans and the Donny Chills. Nice! 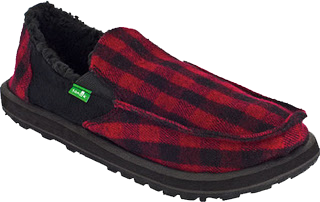 The Lumberjacks are my personal favorites this winter. I wear these things constantly. 26 degrees out today, climbing a ladder hanging Christmas lights on the house, I WILL be wearing these. 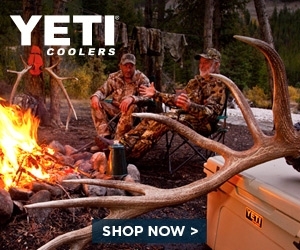 Have a hunter on your list? The Mossy Oak's are a winner. 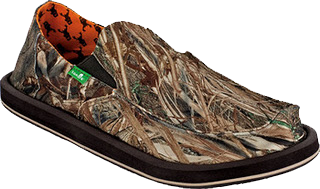 They can be comfortable and stealthy at the same time... Brilliant!